Winters are up, and so everyone is now searching for the best heating appliances to get rid of the chilling cold. If you want an affordable as well as great performing heating appliance, room heaters are the most ideal option. 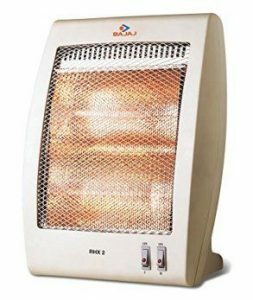 It is one of the must-have gadgets to make yourself free from the freezing cold during winters.And also it makes you feel comfortable even in your home and workplace. 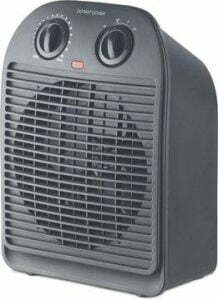 Room heaters are also known as Space Heaters. When it comes to create a warm atmosphere inside your room as well as around your workplace, room heaters are the best and convenient mediums. Now no more shivering and no more bitterness to feel in the chilly winters when you have a room heater. Room heaters are available in different variants and promise to offer you the most comfortable warm atmosphere in a budget-friendly manner. For detailed information on room heaters, check our Buying Guide section. Get ready to beat the freezing cold by picking out one of the best room heaters for your home. 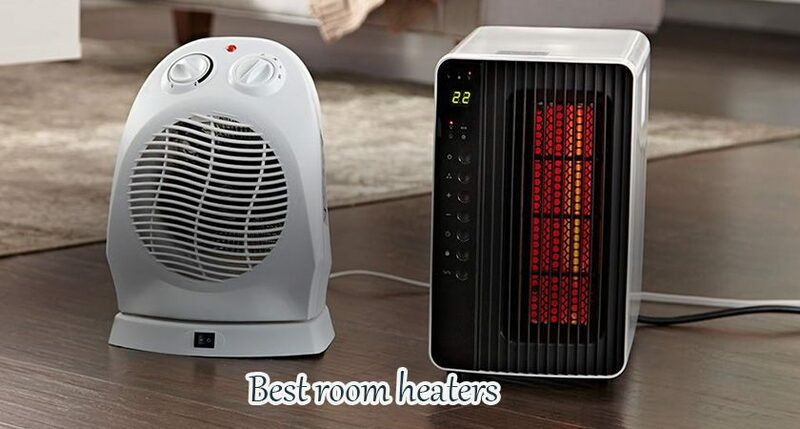 To make your task easier and simpler, we have compiled here the list of latest and best room heaters that will definitely give you the best result. This Bajaj Majesty RHX2 room heater is one of the ideal picks for winters. It has been designed to keep you warm in the freezing cold days of winter. The best feature of his room heater is that it comes with a noiseless operation. The heater also has double heat settings. With international design and styling, it makes you feel warm. This room heater has two safety features included. The one is Safety tilt switch to safeguard against improper installation and the second one is the Thermal fuse. If you are seeking for a smart and extremely budget-friendly room heater, this one is absolutely the perfect choice. 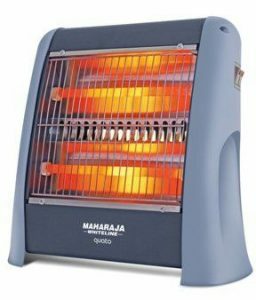 This smart and compact room heater from Maharaja Whiteline warms up an entire room and thus proving to be the most versatile heater. It comes with two heat setting options so that you can adjust to 400W for lower temperature and 800W for the higher temperature in your room. Since this room heater comes with quartz tubes, so you just need to turn it on to get its full heating effect. The temperature of these quartz tubes is also higher than that of other heaters and so making it a durable option. This room heater also saves you energy and cost of electricity. The Usha QH 3002 is one of the best and must-have appliances for any winter households. Being light-weight, sleek, handy, and compact, this room heater fulfills all your heating needs in the chilly winters. This elegant room heater comes with a ceramic heating element with two heat settings along with a power consumption of 1000W. This room heater also has a safety feature which cuts off the heater in case it tilts and falls. It is also featured with an adjustable thermostat to adjust the temperature as per your convenience. This reliable room heater also has inbuilt functions including the tip-over switch, an auto-revolving heating process and overheats protection, making it the best choice of yours. This 2-in-1 room heater from Bajaj can be used as a heater in winters and personal fan during summers. It offers to fan forced hot air circulation and makes the room warm very quickly. This room heater comes with two heat settings 1000W for lower temperature and 2000W for the higher temperature of your room. Power indicator and adjustable thermostat feature for temperature control are also there making it more convenient to use. 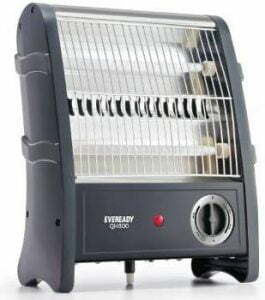 This Eveready quartz room heater is one of the best room heaters with awesome features. It comes with dual heat settings that suit your comfort. This room heater has twin quartz tubes that are useful for direct heating. It’s easy to carry design provides ease of use and easy to carry handle is there for all your convenience. 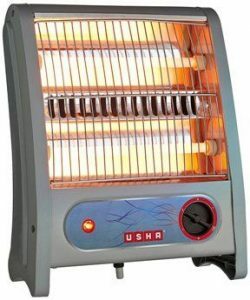 This one room heater from Usha delivers an outstanding heating performance without causing dryness or suffocation. It facilitates superior heating throughout the room with its two heating positions. This room heater also has a low power consumption that saves a lot on your electricity bills. An adjustable thermostat feature is also there that prevents this room heater from sudden overload. This room heater is also equipped with a powerful thermal cut out and a tip over switch that makes it completely safe for domestic use. This room heater from Orpat will definitely make you feel like a warm hug on the chilly winters either its day or night. It has a highly efficient heating element that warms up your room within a few minutes. Its sleek and compact design looks classy and so perfectly complements both contemporary and modern decor of your room. This room heater also has a preset thermal cutout option. And so the device automatically cuts out the power supply when it reaches a particular temperature. Overheat protection feature of this room heater will prevent the device from any damage even if used for a long time. This is another quartz type room heater from the brand Usha to offer you the excellent comfortable experience in the chilly winters. It is a steam heater working as humidifier as well. You just need to add water to prevent dry heating. It comes with 2 heating positions wattage 400 W and 800 W respectively. 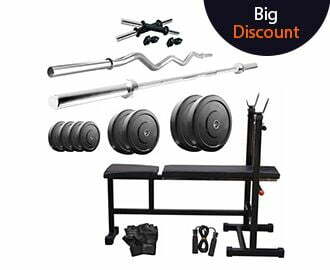 And the best is that it is equipped with all the safety features and standards that offer you an amazing ease of use. The next comes in our list is an oil filled room heater from the brand Singer. Sleek, stylish and efficient, this room heater is great enough to battle with the cold weather. It comes with the 3-way heating effect that provides instant heating around the area. This room heater also has powder-coated 11 fins oil filled radiators that work greatly as a rust protector making the device more durable. Now when it comes to safety features, it is absolutely an outstanding product. It comes with Nylon castor wheels and metallic back cover to assure the safety measures. Moreover, its smart auto cut off feature protects it from being overheated. 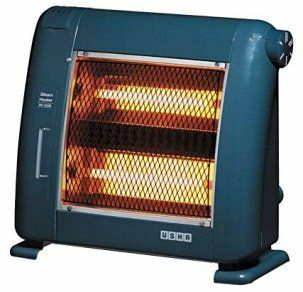 There are 3 type of room heaters available in the market each having its owns specs and features. Also known as ceramic heaters, convection room heaters, and blower room heaters, these are the ideal choice if you want something in the budget. These room heaters come with a fan over a heating element to circulate warm air in the room. With the advanced thermostat switches, you can easily turn it on/off, when the desired level of temperature has reached. Also, the best part is its fan that you can even use in the summers to get cold air. These room heaters are also known as radiant heaters or quartz heaters. It works on infrared technology to produce warmness around you. It comes with a quartz tube or ribbon filament that transfers heat directly to you, as soon as you switch on the device. But these room heaters are ideal for small room only. These units offer the quick heating, but the major drawback is that the heats get dissipated soon after you switch off the device. As the name shows these room heaters use the oil that is to be poured in the heating element to warm up the surrounding area. These are the expensive room heaters but are best ones to warm up the large rooms with no noise at all. Auto Shut off- The latest models of room heater come with this feature that makes the device switch off automatically when the heater temperature reaches a threshold level. This feature protects the device from getting been overheated. Multiple Heat Settings- The advanced models come with different heat settings options to adjust accordingly for the best ideal temperature you want in your room. Timer- This feature lets the device to turn off automatically at the predetermined time you have set. Remote Control- Some of the models also come with the remote controllable option that lets you operate the room heater with utmost ease. As it is incorporated with the wireless technology, so you can easily operate it from a distance also. Thermostat- With this advanced feature in the room heaters, you can set the desired temperature level accordingly. 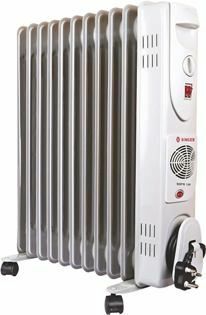 Room Size- The first and foremost thing is the consideration of your room size to decide upon which room heater to buy. If you want to buy a room heater for the small room, then fan heaters and radiant heaters are the ideal choice. But if you want the one for bigger area or large room, then oil-filled room heaters will be the best purchase. Type of the Room Heater- We have already discussed about the different types of room heaters in the above section. So go for the one that specifically suits your need. Energy Efficiency- Most of the modern electric appliances comes with the BEE star rating that shows the energy efficiency of that device. And when it comes to room heaters, always go for the high star rating model. The more the energy star rating, the more it is energy efficient. Portability- Fan or blower heaters and radiant heaters come with the simple, lightweight design that makes them easy to carry from one place to another. While the oil-filled radiators come with the castor wheels to move freely in any direction from one room to another. So choose the one that perfectly fits your need. Noise levels- Noise level is an important feature to consider in a room heater. If you want a silent atmosphere around you, radiant room heaters and oil-filled room heaters are ideal for their noiseless operation. While the blower heaters or fan heaters produce a little bit noise due to it fan. Smart Safety Features- It is important to check whether the room heater has enough safety features or not for the utmost convenience and protection. Some advanced safety features include Auto Shut Off, Thermostat Feature, Different Heat Settings, Comfortable Grip, etc. This is all about the best room heaters of 2018. Get ready to fight the freezing cold by picking up one of the above-listed room heaters. All the listed room heaters are from the well-known brands, so quality is completely assured. So, what are you waiting for? Choose the one as per your budget and preference.